What are JOTTs? Just One or Two Things! 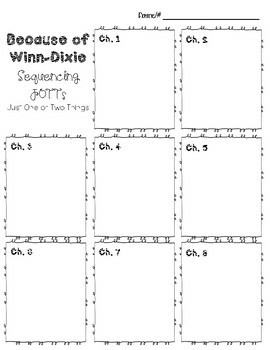 Here's a great resource for students to remember Just One or Two Things from each chapter of Kate DiCamillo's novel, Because of Winn-Dixie. There are 2 versions: lined and unlined. 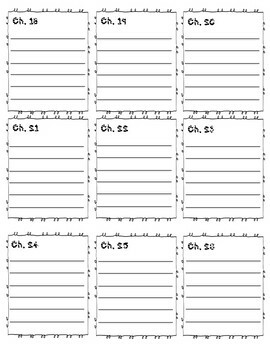 Unlined is great for differentiating for students who need to draw a sketch from the chapter or JOTT ideas. 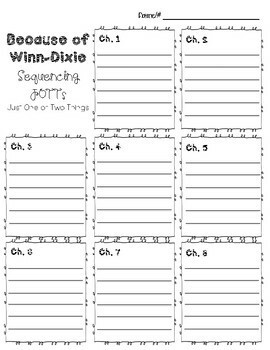 This resource is especially helpful for writing a summary after completing the novel or reviewing cause/effect of important events in the story.